FIFA 2018 Football World Cup is scheduled to take place in Russia from 14 June to 15 July 2018. 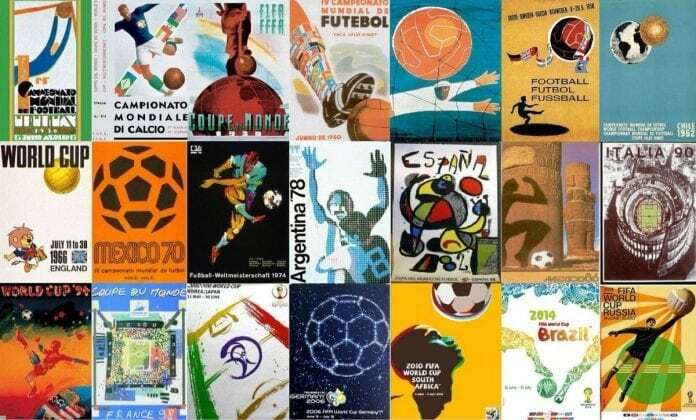 It will be the 21st FIFA Football World Cup event to ever take place. 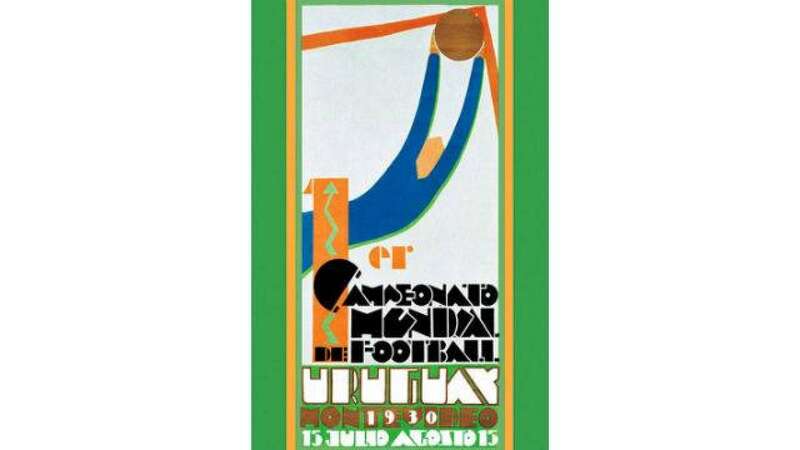 Since the first FIFA Football World Cup, which took place in Uruguay in 1930, a official poster of the games has been part of the tournament. 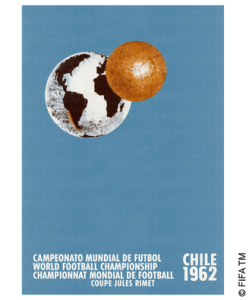 I am sure sports fans would be eager to see Official Posters of all the previous Football World Cups from 1930 on wards. The 2018 poster was created by artist Igor Gurovich, who was inspired by the “unique visual language” of the Constructivist movement in the late 1920s and early 1930s. 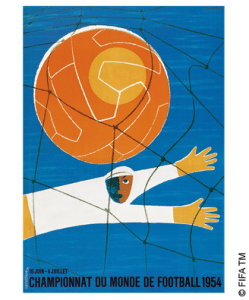 The rays of light emanating from the ball are said to symbolise the World Cup’s innate energy, while the green circle represent the 12 pitches on which the matches will be played. 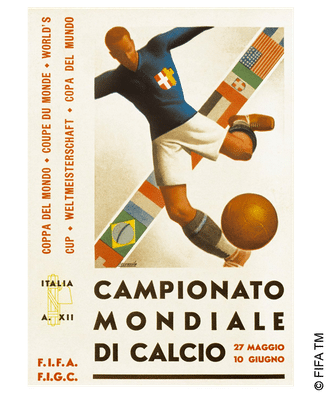 FIFA 1934 Football World Cup took place in Italy. 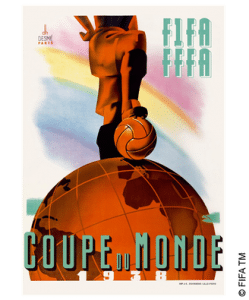 FIFA 1938 Football World Cup took place in France. 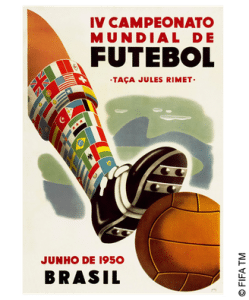 FIFA 1950 Football World Cup took place in Brazil. 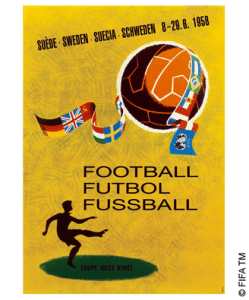 FIFA 1954 Football World Cup took place in Switzerland.